Click either images above to read the complete letter or the following link for the full archival record. Click image to read this postcard or the following link for the full archival record. Joseph sends a postcard to his younger brother William, whom he calls “Willie”. 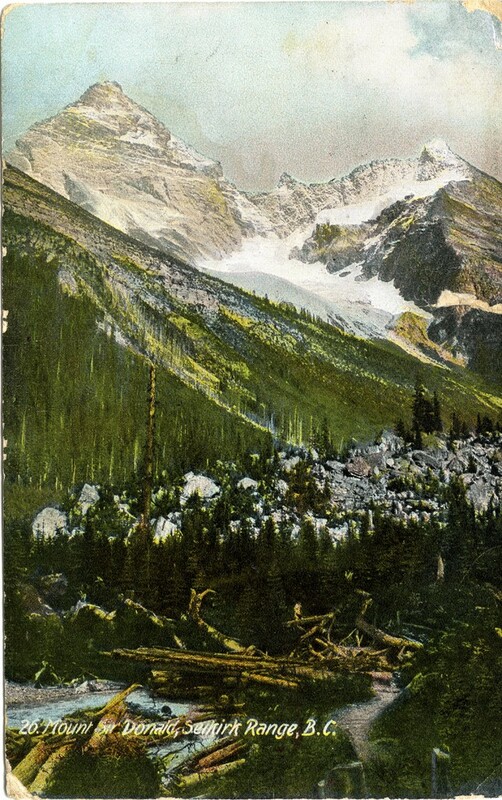 The front of the postcard has a vivid painting of the mountain landscape of Mount Sir Donald in British Columbia. 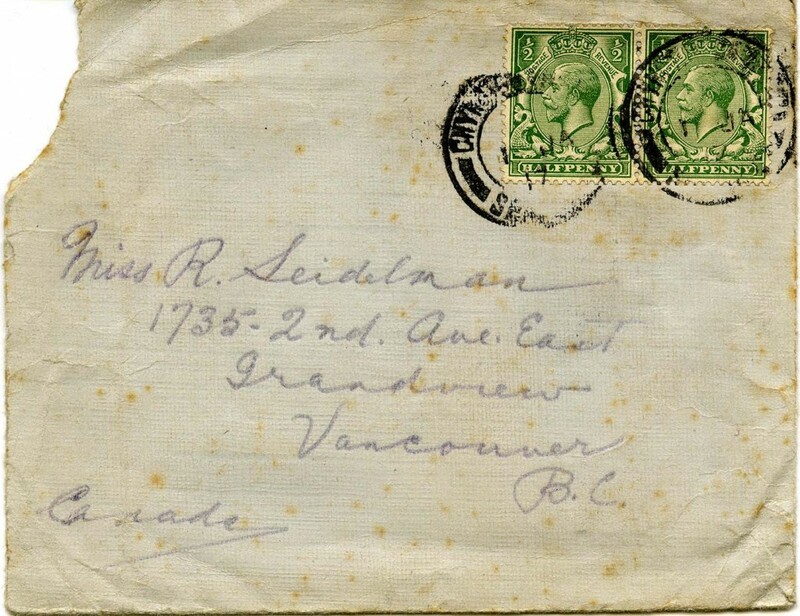 Joseph most likely bought this postcard at a stop along his train journey to Manitoba, and sent it to William at a later date. 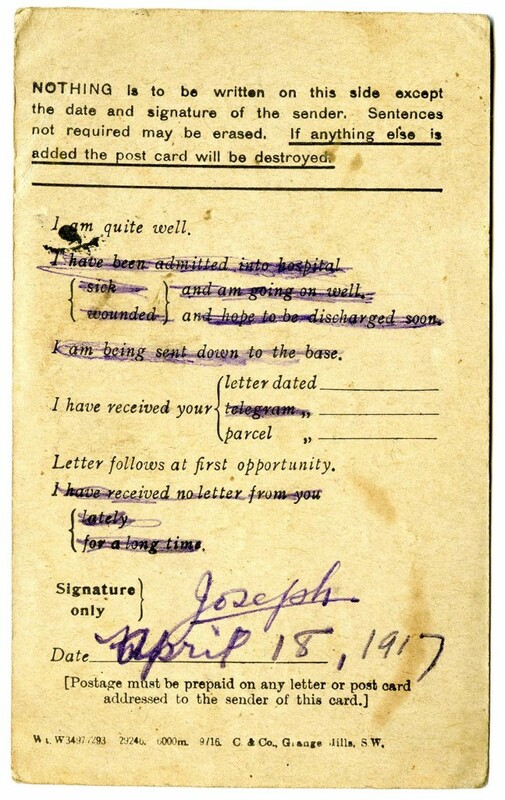 Joseph addresses the postcard to “Master William Seidelman”, and caringly writes to his younger brother that “If you are having a rotten time at home as you say I will send you some ice-cream in a letter which will make it better.” He then signs off the postcard with “from your lofty brother, Joe”. 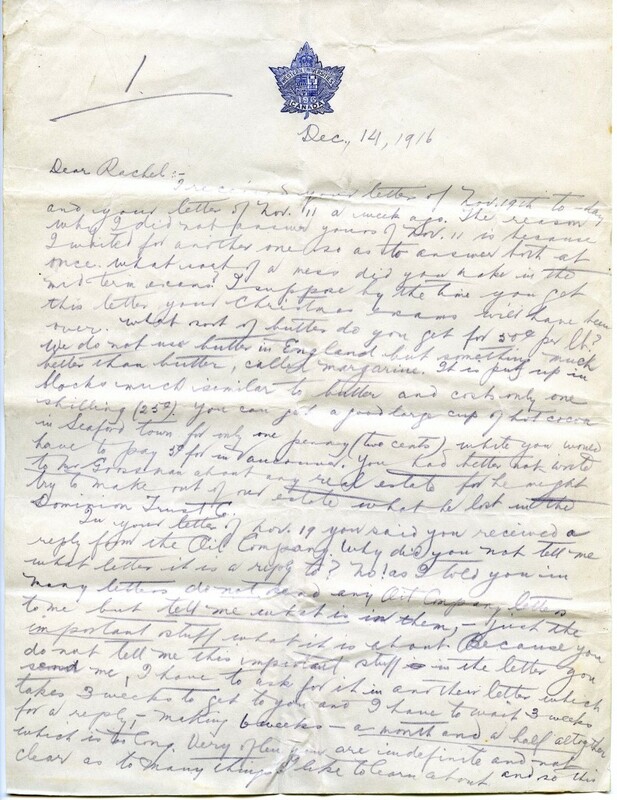 Click image to read the complete letter that comes with this photograph or the following link for the full archival record. Starting with this letter, for the most part, Joseph addresses all his following letters to his sister Rachel. 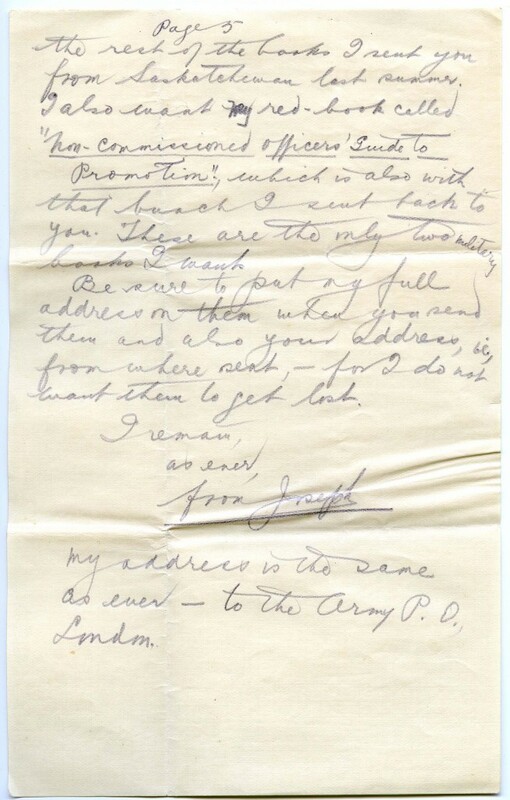 At the time that Joseph is writing this letter he and his fellow soldiers are on “Harvest leave”, for a break from training. On his leave, Joseph stays on a farm in Tyvan, Saskatchewan. Joseph remarks that, compared to the food at the army camp, he receives some “classy meals” on the farm. Or as Joseph puts it, the meals on the farm “beat the army meals all hollow”. Joseph also mentions a “little creature” that was caught on the farm, and says the farmer’s wife gave him a photograph of the creature as a way to remember his time on her husband’s farm. 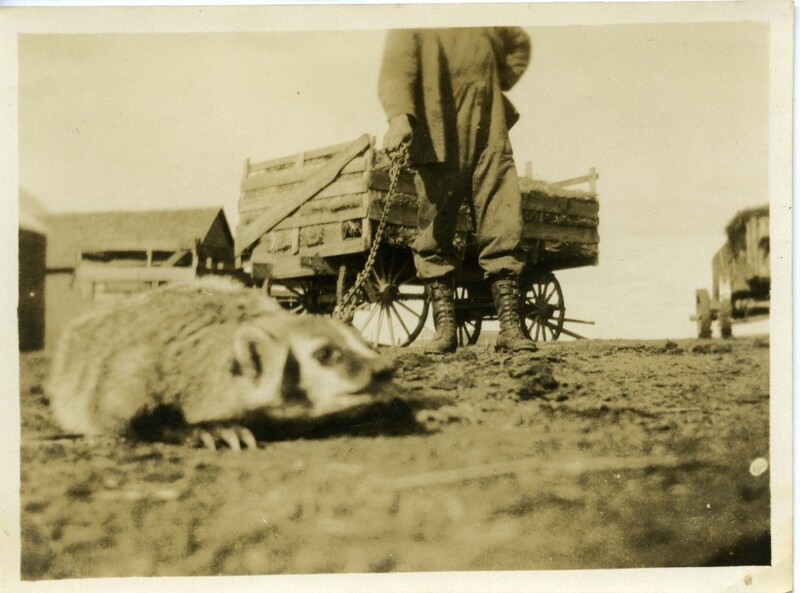 This photograph of the creature (which is most likely a badger) is enclosed with the letter, and Joseph tells Rachel that she can keep the photograph for him. 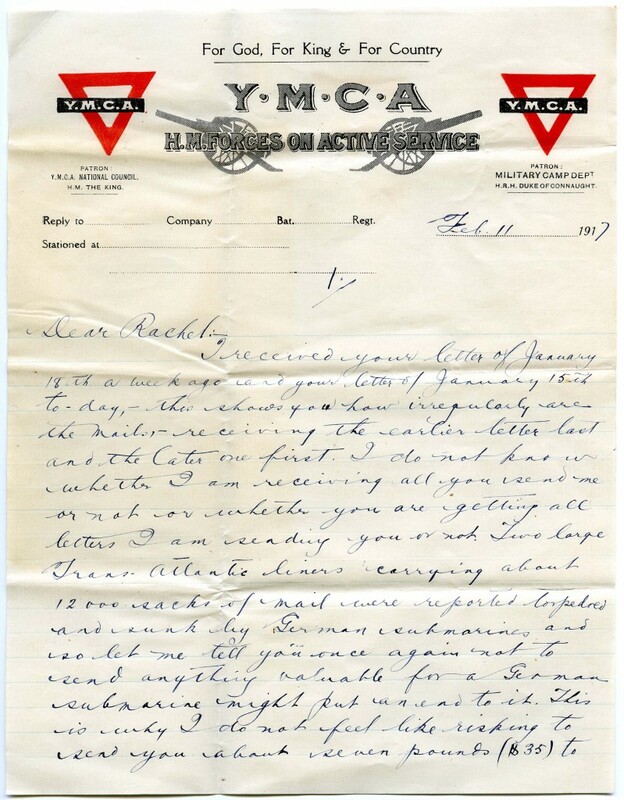 Click image to read the complete letter or the following link for the full archival record. Joseph has now left Camp Hughes, and is heading towards the East coast of Canada, most likely to board a ship to England. He spends most of the letter talking about family financial matters. Joseph and his battalion are now in England for further training before going to France to engage in battle. In England, his battalion is stationed in Seaford, Sussex. 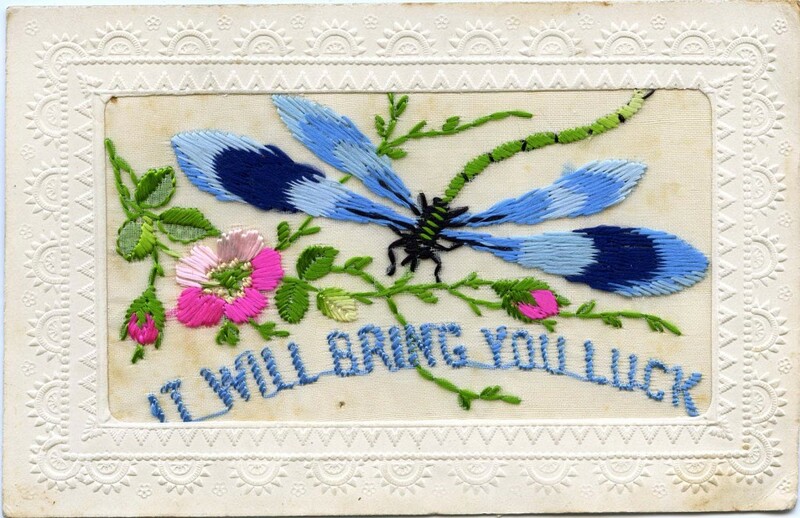 Joseph sends a postcard with embossed paper edges and colourful embroidery of a dragonfly on the front, and has it addressed “To all the folks at home”. Joseph begins this letter by jokingly poking fun at Rachel, asking her, “What sort of a mess did you make in the mid-term exams?”, regarding her university courses. Joseph talks about some of the differences he notices in the food options in England; specifically mentioning “We do not use butter in England but something much better than butter, called margarine. It is put up in blocks much similar to butter and cost only one shilling (25¢). You can get a good large cup of hot cocoa in Seaford town for only one penny (two cents) while you would have to pay 5¢ for in Vancouver.” Joseph also reports that a case of measles has broken out in the camp and thus some men are being quarantined for 16 days. He tells Rachel that he came close to being quarantined too. 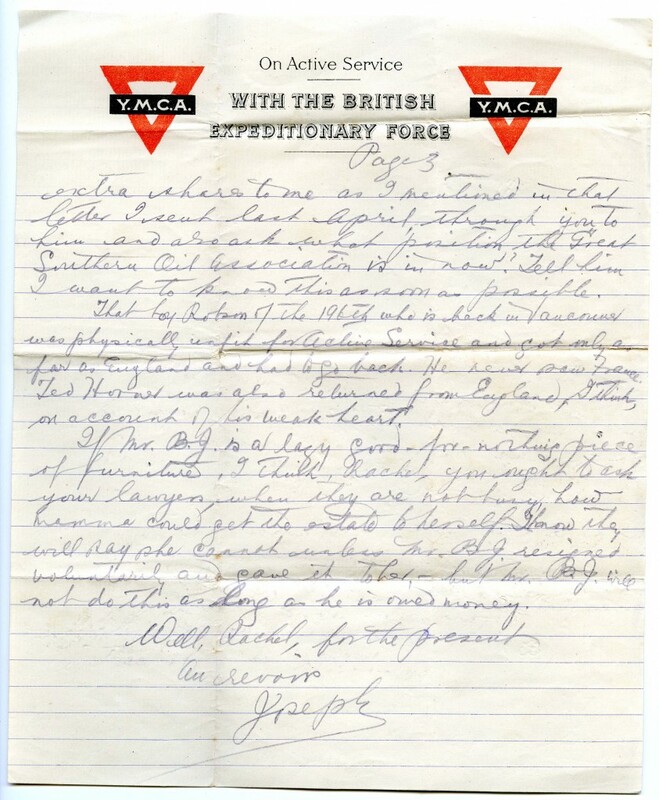 Towards the end of the letter, Joseph notes that his battalion is changing into an Officers’ Training Corps, which will require several more months of training. At this time, Joseph does end up after all being quarantined for measles at his camp. Joseph writes that while in quarantine, the parcels of candy his family sends him have “come in somewhat useful because the only way to pass our time is to eat since we cannot pass it any other way.” Although, knowing that candy parcels are costly to send and that his family does not have much money to spend in the first place, Joseph implores to Rachel to stop sending him more candy parcels and says, “Now this is going too far altogether and should be stopped,- and I hope you do stop it”. 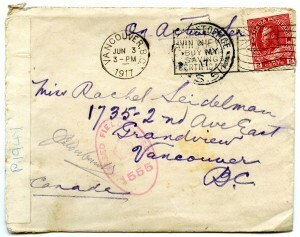 However, Joseph adds afterwards to Rachel that, “you can send me socks if you like once and awhile.” After receiving a letter from Harry Dalkin, his cousin from the United States, Joseph asks Rachel to let Harry know that mail from soldiers in England sent to the United States are censored. Click image to read the complete postcard or the following link for the full archival record. By now, Joseph has been “Somewhere in France” since mid-February of 1917, and is now part of the 46th Battalion. 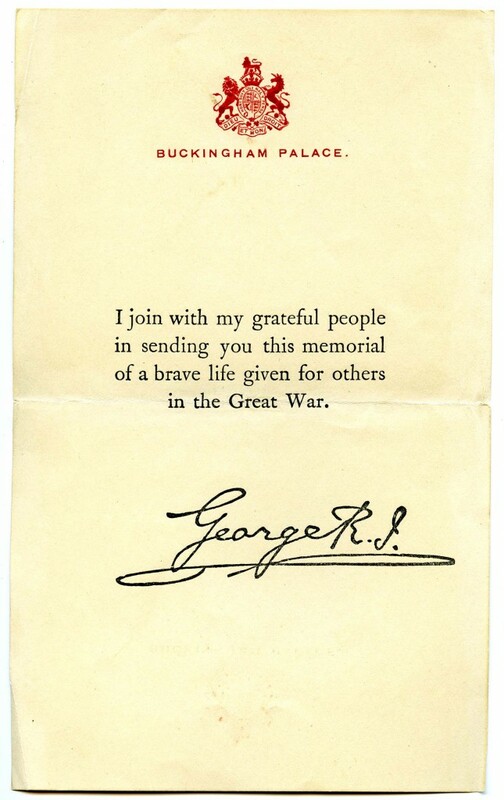 He sends this pre-typed up postcard, provided by the military, for the intention of quickly communicating to loved ones back home of soldiers’ current statuses. In this particular one, Joseph indicates that he is “quite well”. 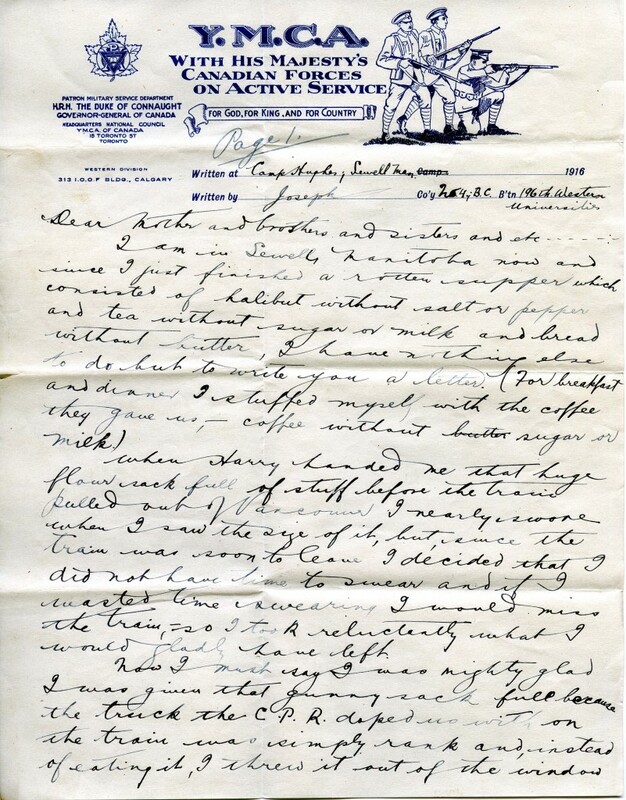 Click above images to read the complete letter or the following link for the full archival record. 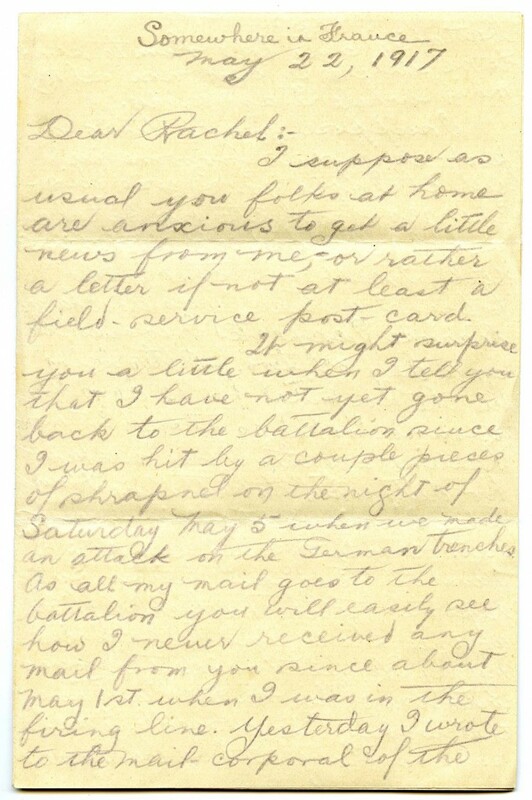 In this letter, Joseph tells Rachel that he is currently in a hospital recovering from shrapnel wounds to his right leg. 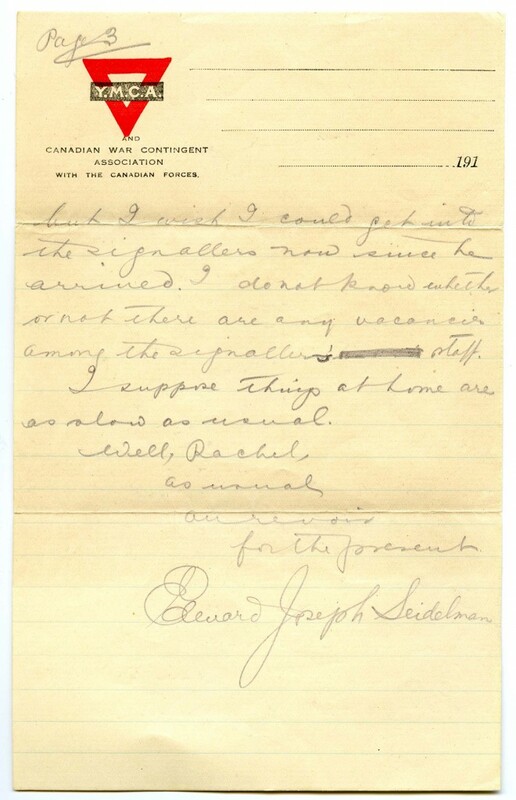 This injury might have occurred during the “big Canadian push” that Joseph had written about in an earlier letter dated April 7, 1917, in which he describes the ground being “all cut and plowed up with trenches.” Note the “Opened by Censor” sticker and “Passed Field Censor” stamp on the envelope. 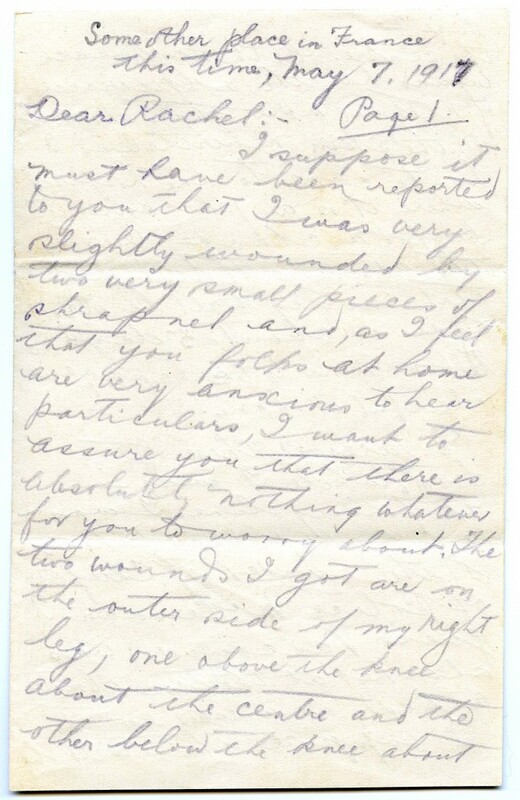 Joseph writes that he still has not rejoined his battalion after his leg injury as another shrapnel piece was found still in his leg, and required more medical attention at the hospital. Joseph tells Rachel that the shrapnel piece was found with the aid of an X-ray scan, and the doctor let him keep the shrapnel as a souvenir. 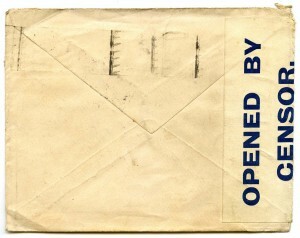 Click image to also see the accompanying envelope or the following link for the full archival record. Joseph has returned to his battalion by now. 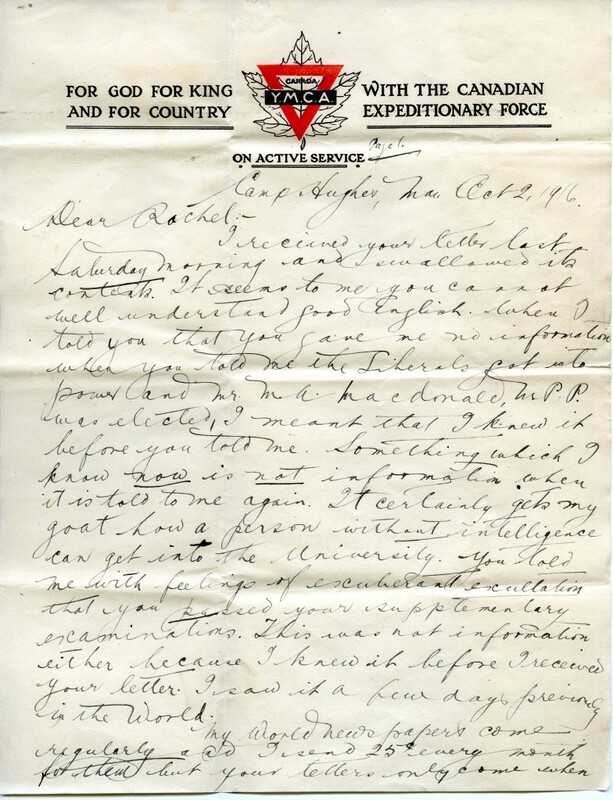 In this letter to Rachel he recalls that on the night of May 5, 1917, when he received his leg wound, he still made the effort to help out a wounded officer even though he too was injured. 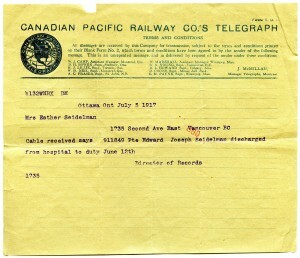 A telegram indicating Joseph’s return to the battalion from the hospital was sent to Joseph’s mother, Mrs. Esther Seidelman, on July 5, 1917. 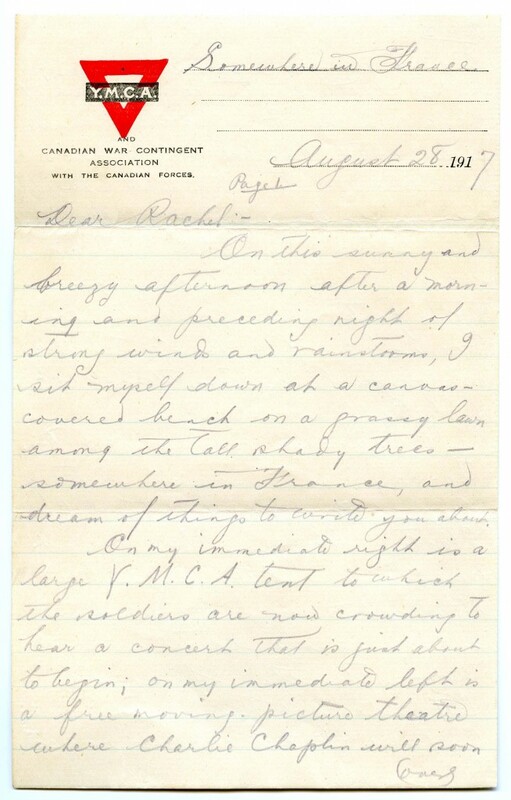 In this letter, Joseph talks about having participated in the Canadian advance on Vimy Ridge in April 1917. 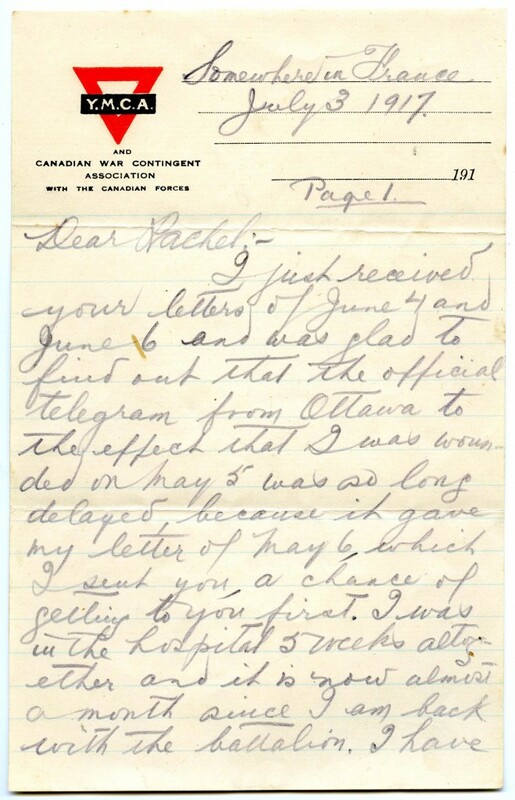 This was most likely the “big Canadian push” which Joseph had mentioned previously in a letter from April 17, 1917. Click image to see the complete clipping or the following link for the full archival record. Joseph sends home tags from different chocolate boxes. 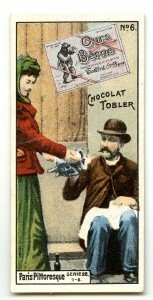 These particular tags are from the Tobler chocolate company, which later becomes known as the Toblerone chocolate company. 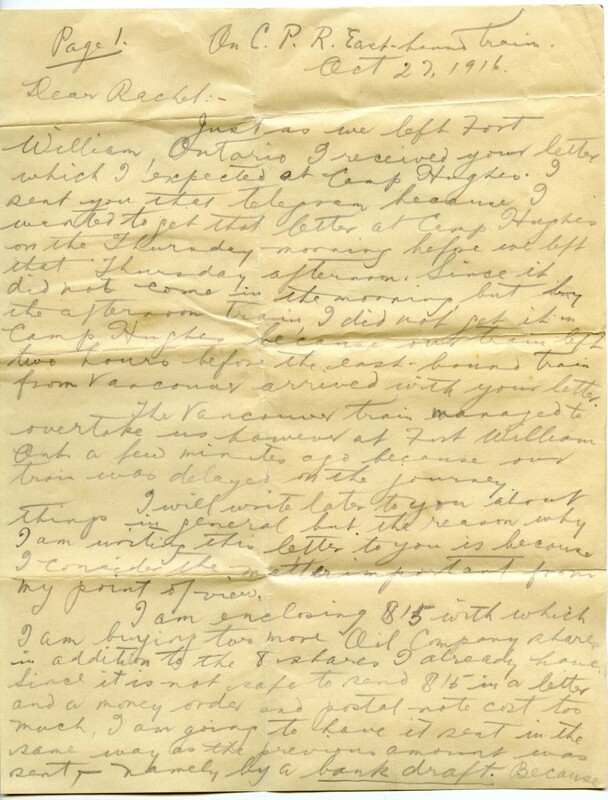 Joseph gives a very detailed account of an afternoon of rest for him and his fellow soldiers. While sitting “on a grassy lawn among the tall shady trees” some place in France, Joseph recalls a moment in which some French boys and girls were selling candy and chocolate to soldiers. He also writes about a Charlie Chaplin film playing later in the day in the “moving picture theatre”, and about buying items from a Y.M.C.A tent. 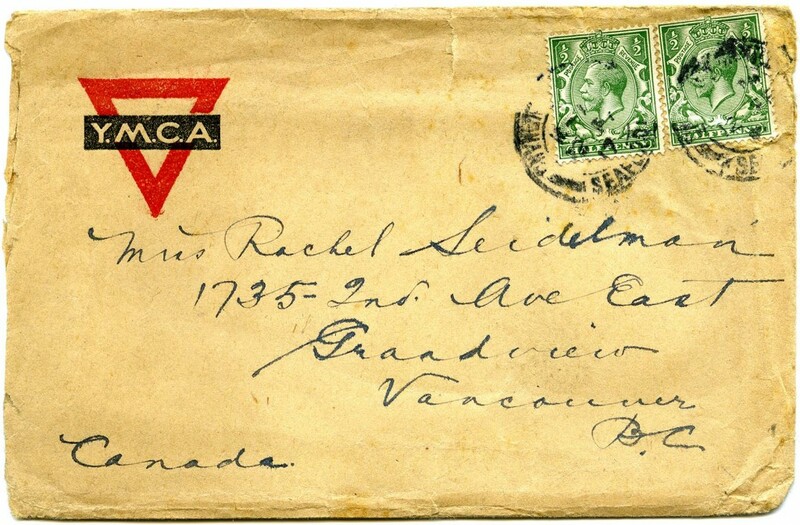 Click image to also see accompanying envelope or the following link for the full archival record. A short but affectionate note, Joseph reports “nothing to write about” in the last letter that he writes home. 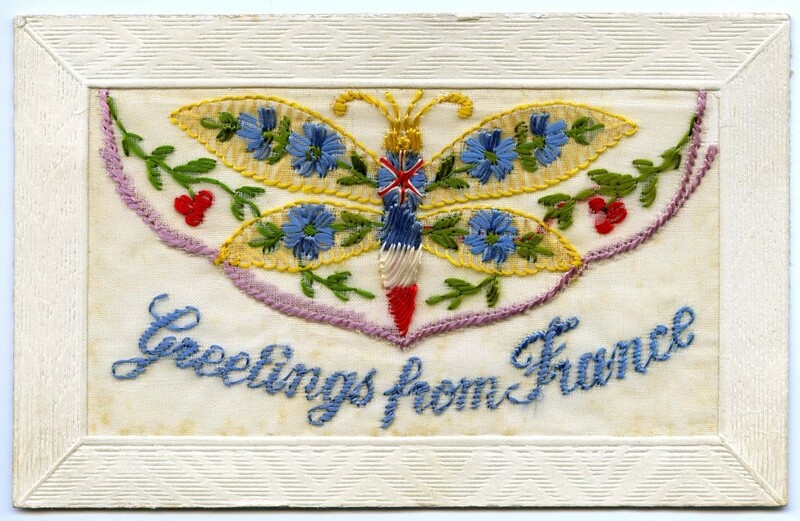 Sadly, this postcard was the last item that Joseph would send home to his family before he was killed in action during the Battle of Passchendaele on October 26, 1917. Click image to read the complete obituary or the following link for the full archival record. 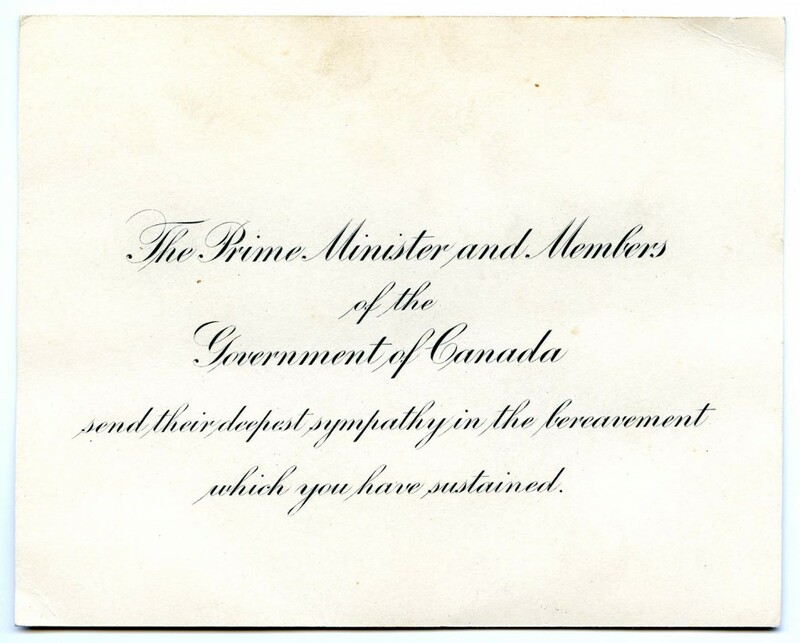 Condolence letters on behalf of King George and the Canadian Prime Minister were sent to the Seidelman family. An obituary of Joseph was also published in the Daily Province newspaper on December 13, 1917, which includes a short biography of Joseph and a summary of his time fighting in the war. Private Joseph Seidelman was one of 15,654 Canadian soldiers killed at Passchendaele on October 26, 1917. All told, World War I claimed the lives of 38 million civilians and soldiers alike, over four years of fighting. Seventy-eight University of British Columbia students who lost their lives during the war, including Private Seidelman, are commemorated at the university’s War Memorial Gym alongside students lost from other Canadian combat missions. The courage and strength of these soldiers to keep going in the face of danger will never be forgotten. 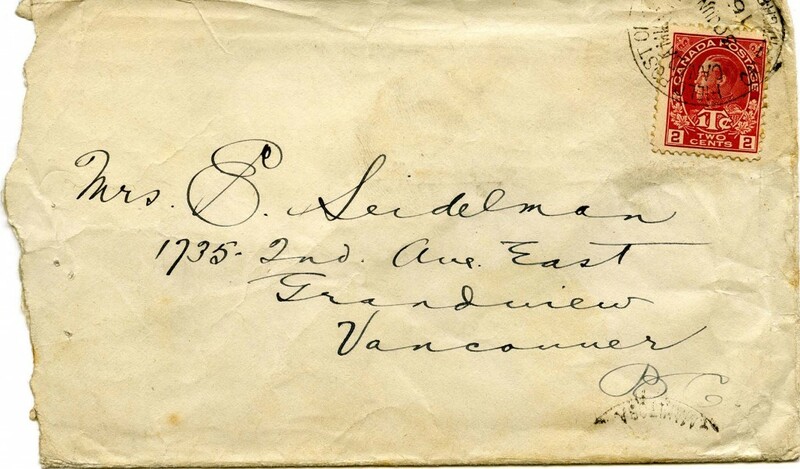 Now a hundred years old, these letters bring to life Joseph’s character. They show the kind of person that Joseph was: someone who was willing to serve his country under dangerous circumstances, and who always looked out for his family, even when he was away fighting on the battlefields of France. 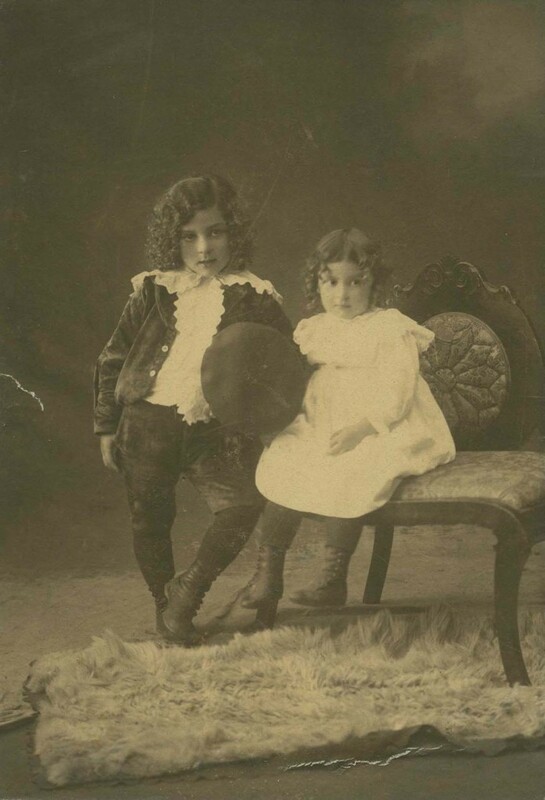 Though Joseph’s life was tragically cut short, his letters have kept his memory alive for close to a century, and will continue to do so for years to come. 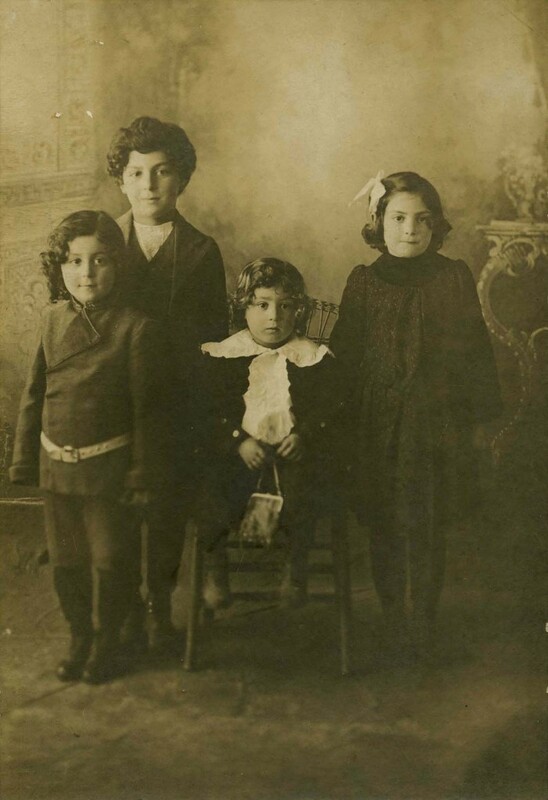 This project has been made possible by the Government of Canada through the Documentary Heritage Communities Program of Library and Archives Canada. I would like to thank the Board of Directors and staff at the Jewish Museum and Archives of British Columbia for their guidance and support during this project. I would also like to give a special thanks to Perry Seidelman for his support and for providing further insight into the Seidelman family. 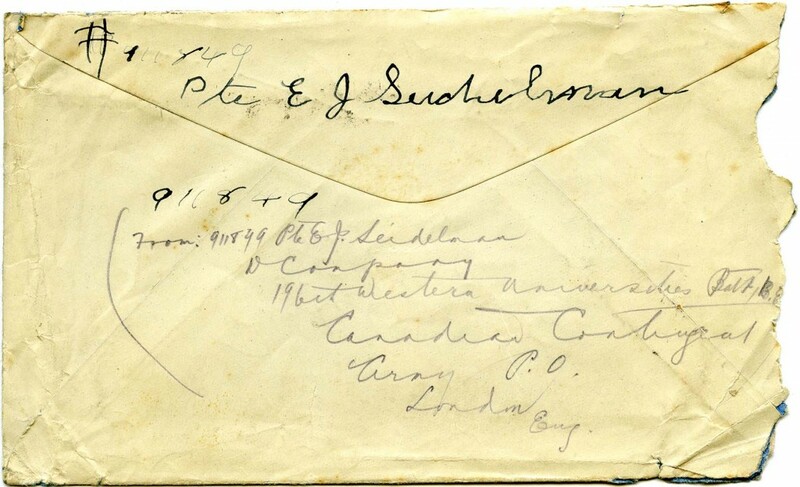 The Seidelman Family Fonds was digitized by Junie Chow under the supervision of archivist Alysa Routtenberg. This exhibit was guided by Alysa Routtenberg and Michael Schwartz.